What Is An Artist Potter? 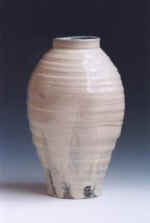 Catherine White - Squared Vase - H 10.5" x W 6"
As ARTIST POTTERS we seek to infiltrate art into daily life. As artists we are enmeshed in an endlessly evolving process of seeing and capturing life. Ideas, results and changes are constants as well as requirements. Our best work grows from a stream of objects that is constantly being channeled, directed, and assessed. Not about novelty for its own sake, our artistic evolution is about seeing the world afresh. 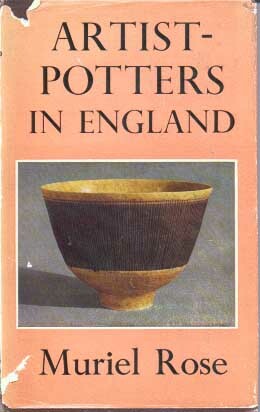 As potters we are committed to the essential importance of pottery as an evocative and conceptually infinite art form. If pottery is reduced to its essential elements--incomplete and understated--it can uniquely and poetically transform the mundane into atypical and special experiences. "In China and the Far East the art of the potter has always been held in equal honour with that of the painter or sculptor. In Europe, however, it is only in the past hundred years that serious artists have begun to consider pottery as worthy of their full attention. Prior to this the masterpieces of pottery had, with few exceptions, come to us un-named, made by craftsmen who did not think of themselves as artists and who worked almost entirely within accepted traditions. Towards the middle of the nineteenth century a few European artists, stimulated as so often before in ceramic history by wares from the FarEast, started to experiment with pottery-making. Later, after the turn of the century, the revelation of the hitherto unknown works of the early Chinese potters (brought to light when the cutting of railways disturbed the ancient tombs) aroused world-wide interest in this craft and artist potters are now at work in all parts of the world."